The guild will be having an Open Day again this year, this time in the F2 Centre in Dublin on the 29th of November from 11 to 3. This will replace our regular guild meeting, and will offer spinning, weaving and dyeing demonstrations. You’ll also have the opportunity to try some of the crafts! 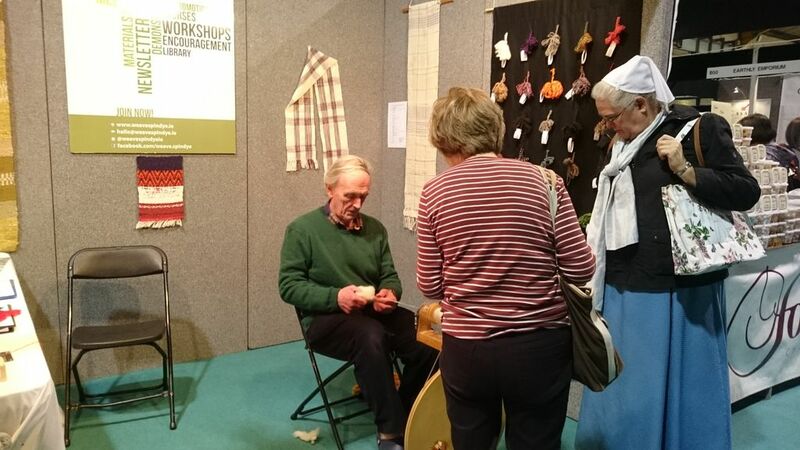 And if you can’t make the Open Day, maybe you can stop by the Knitting and Stitching Show in the RDS? The guild are at stand A80, the back left side of the hall, demonstrating and offering helpful advice. I have a Spinning Wheel made my James Shields of Carndonagh, It is known as a Donegal wheel in beautiful condition, hardly ever used. I wish to sell it. Wishing you best of luck at the RDS, will do my best to get to your stand.